Patrick D'Arcy hails from Dublin, Ireland and has spent most of his musical life plying his craft in California. His latest release, Rattle The Knee - Paving & Crigging, as well as his self titled debut solo album Wallop The Spot have received critical acclaim and radio play both in the US and in Ireland. Patrick has appeared on numerous recordings over the years in all genres of music and has written music for TV. He has played for some familiar figures including Vice President of the USA, Irish Taoiseach, Bono (U2), Quincy Jones, Daniel Lanois, Oprah Winfrey, Frank Gehry, Robbie Robertson, Josh Groban, Neil Diamond, David Foster, Don Was, The Kennedy and Shriver Families, Jacknife Lee, Rend Collective & Disney. Patrick tours regularly both in the US and internationally. Since 2010 he has had the privilege to record and tour extensively from The Royal Albert Hall to The Grand Ole Opry to Carnegie Hall with modern hymn writers Keith & Kristyn Getty. Patrick plays locally with some exciting projects, namely; The Rambling House Band, The Ne'er Duwels, Rattle The Knee & Celtic Pink Floyd. Each with albums recently released! He regularly hosts traditional Irish music session's at Timmy Nolan's in Toluca Lake and The Auld Dubliner in Long Beach. Keep an eye on the Shows section for upcoming and recurring events. As well as recording and performing with local bands and producers in Los Angeles, he also participates in online recording sessions with artists all around the world. 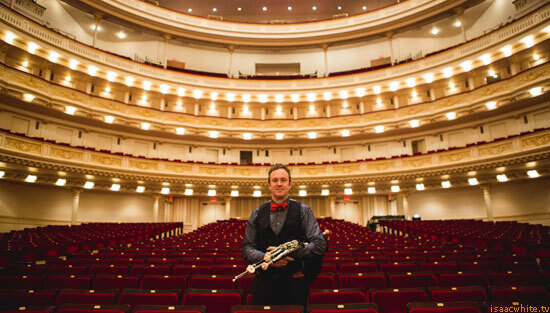 He enjoys teaching the Uilleann pipes & whistle locally in California as well as at tionóil (gatherings) around the country and also online to a world wide student body. In his early days of playing the Uilleann pipes he would venture to County Clare where he found a firm footing by attending the legendary Willie Clancy Summer School in Milltown Malbay, named after one of Irelands most influential pipers. Before that, guitar was his main instrument, with ventures into the mandolin which brought him to play for three years with L.A. / Irish punk band "Flogging Molly". Patrick plays two main instruments, one in concert pitch by Koehler & Quinn and the other a "flat set" in B by Geoff Wooff. Not to mention the whistles, flutes, bodhrán, harmonica, bansuri, duduk, bawu, vargan and other yokes! For Tour Dates and Discography please visit the Music Page.